Sistahs Shop Talk is random ramblings from yours truly about books, news, and views that captivate me. Where I’ve Been: It’s been a while since you’ve seen me here. I’m happy to be back, but there’s a part of me that feels pressure, mostly to promote things in the right way. With all this talk about “diversity,” the stakes are higher than ever to make sure the work that’s being done is right. Not only do I want to showcase our gifts to the world, I feel a responsibility to this blog, and keeping it around means a lot to me. Yet there’s a few things in my personal life I have to attend to, and that comes first. But just know if you don’t find me here at Sistahs on the Shelf, I’m ALWAYS reading. My Goodreads account is where you can keep track of what I’m devouring at the moment. Summer’s over: Yes, autumn is here, and I for one am happy about. It’s a been a hot summer, and I’m all for cooler, light-jacket weather. And book-snuggling. I’ve already picked out my fall-flavored beverage, Green Mountain Coffee Autumn Harvest Blend, and it’s so good. Now I’m ready to dig in and read some good books. What are you excited about reading this fall? I’m a third of the way through The Dawn of Nia by Lauren Cherelle, and what a powerful story so far. This book deals with Nia, a nurse who tended to her mentor Pat during her illness, and discovers after her death that she didn’t know Pat as well as she thought. Complicating things is a fling that has takes another life of its own during Nia’s grief and betrayal. This book has colorful, flawed characters, which is my literary kryptonite. I can’t wait to see what happens next, especially when Pat’s meddling sisters contest her will. Given all that Sand and Rene have been through, the couple lands an opportunity to share their life story in the upcoming documentary, Beneath My Skin. The question is―are they truly ready to take that trip down memory lane? As they subconsciously relive their past, Sand ventures to a dark place where agony and judgement has tormented her since the day her parents discovered her sexual orientation in a shoebox full of love letters. Their rejection left her homeless and dependent on the streets, but it was during those trying times that she learned how to not only walk in her truth, but how to survive. Recycled through the foster system as early as four, Rene is one who has become accustomed to change. Sand introduces her to another side of love and gives her a reason to open her mind and heart to something new―that is, until Rene finds herself questioning not only their relationship, but her sexuality. A series of events leaves them entangled in a web of deceit, wicked passion, and murder. As their love story unfolds, they’ll find out soon enough if they are truly each other’s ride or die! Kenya Davis’s ability to find the perfect employee is unparalleled. Her ability to find the perfect mate? Not so much. After she takes a chance on speed dating, she finds herself with not one but two chances to find true love. But with her spotty romantic track record, how can she be sure which woman is Miss Right and which is only Miss Right Now? Simone Bailey works as a bartender at one of the hottest nightclubs in South Beach, has more female attention than she knows what to do with, and spends her spare time following her musical ambitions. Then she meets Kenya Davis. After her initial attempt to charm her way into Kenya’s heart fails, she resolves to reach her ultimate destination one question at a time. A Failure to Communicate, S. Andrea Allen’s debut collection of short fiction, focuses on a singular theme: communication, and how it, or the lack thereof, impacts Black women’s lives. The stories range from the humorous to the heartbreaking: one woman wins a bake-off because her co-worker misunderstands the contest; an overweight woman finally learns to love herself, even though it means leaving her girlfriend; a teenager reflects on his mother’s inability to discuss her depression; a woman realizes that her partner has been hiding a gambling addiction, and has to decide whether to help her or save herself. The women in these stories are often silenced, but Allen figures out a way to give them all a voice that demands to be heard. Deeply troubled by recent acts of violence against Black and Brown lesbian, bisexual, and trans* bodies, Solace: Writing, Refuge and LGBTQ Women of Color explores how LGBTQ women find solace: in each other, in their communities, and from within themselves, as they traverse the challenges of living as LGBTQ women of color in the United States. Solace is a collection of poetry and prose that explores our pain, as well as our attempts to find solace in a world that seeks to destroy us. What are our strategies for survival? Where do we find solace? Audre Lorde writes that “we were never meant to survive,” yet here we are. 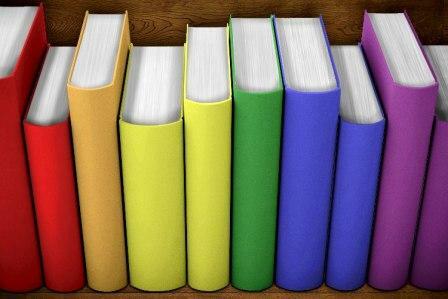 Rainbow Lit serves to promote the reading, writing, publication, distribution, and public awareness of books that reflect the rich variety of the SGL experience. It features information on new book releases, book excerpts, and interviews, as well as Call for Submissions for LGBT publications. Check it out.